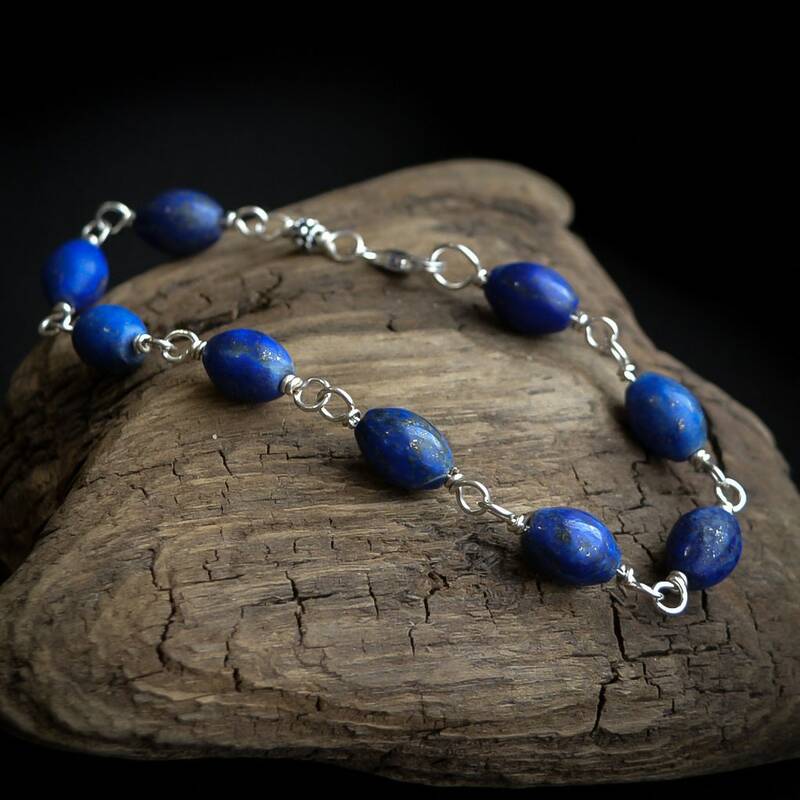 This is a beautiful bracelet featuring Lapis Lazuli beads. This gemstone is beautiful in shades of deep blue with golden and silver pyrite inclusions. I have lovingly hand wrapped each stone on sturdy sterling silver wire. This bracelet features a 10x6mm lobster claw clasp. Matching earrings also available separately.